Volume twelve of Samuel James Reader's diary. 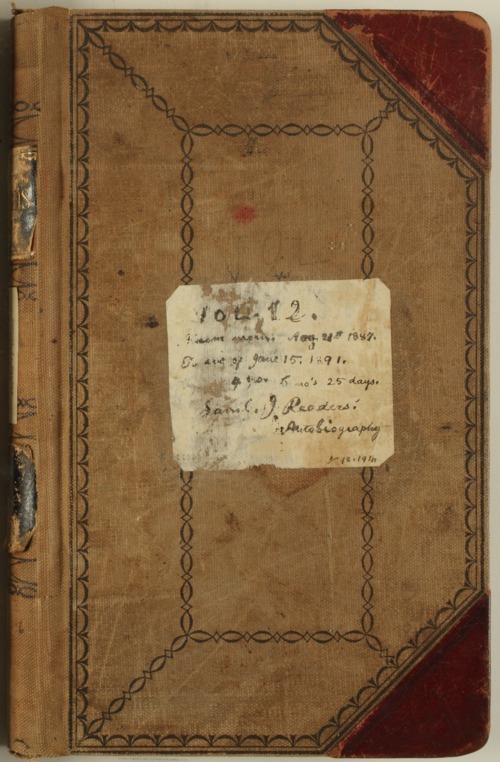 Events recorded in this volume include the destruction of his farmhouse resulting from a fire on April 8, 1890. Several illustrations, newspaper clippings, and election tickets are found inside. In addition to English, Reader writes some of the diary in shorthand.